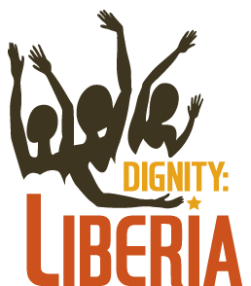 Dignity:Liberia is 100% led and governed by unpaid volunteers. We're pretty proud of that -- and grateful! We'd like to introduce you to some of the fantastic people who offer their time, talents, creativity, and leadership to serving on the Dignity:Liberia Board of Directors. We're really glad to know these folks and we bet you will be, too. Although she lives in Kansas City, Kathi tells just about everyone that her heart lives in Liberia, West Africa. The child of missionaries, Kathi lived in Liberia until just after high school. Her passion for the people of Liberia is contagious, and she has become a fearless advocate for her African home. Kathi’s experiences as a wife, mother, church leader, community volunteer, and business woman have demonstrated her gifts of matching people with opportunities, and motivating others toward creative action. These skills have been fundamental to the formation and ongoing direction of Dignity:Liberia as a relationship-based ministry organized to support and resource Liberians serving at the local level. Kathi founded Dignity:Liberia in 2009 when her personal journey of experiencing a fistula reconnected her to the needs of Liberian women suffering from the same condition. Today, Kathi serves as Executive Director and #1 champion of the Dignity:Liberia mission. Dr. Grechus has made his passion for the care and well-being of women his life’s work. A graduate of the University of Missouri-Kansas City School of Medicine, Dr. Grechus has completed residencies in both family medicine and obstetrics-gynecology. Previously, he has served as president of Medical Arts Clinic, board member of Barnes Jewish Christian-Medical Group, founding board member of Parkland Pregnancy Resource Center, and Perinatal/OB-GYN department chairman of Parkland Health Center and Mineral Area Regional Medical Center. Currently, Dr. Grechus serves the rural area of Missouri on staff of Great Mines Health Center. As a board certified OB-GYN, he has had the pleasure of delivering thousands of babies in the United States, and now desires to help women in Liberia receive the quality healthcare they deserve. In addition to leading on our Board of Directors, Dr. Grechus travels to Liberia to offer his skills as a physician for women awaiting fistula treatment. As the child of missionaries, Dr. Mueller has had a life-long interest in mission work. He grew up in Liberia, but returned to the United States when it was time to complete high school and attend college. He is a 1987 graduate of the University of California, Irvine School of Medicine, and in 1993 completed surgical residency at the Oregon Health and Sciences University. Dr. Mueller has served on active duty in the United States Air Force, practiced rural healthcare in south central Missouri and now resides in Portland, OR with his wife. He is a board-certified general surgeon and certified burn surgeon practicing at The Oregon Burn Center, Legacy Emanuel Hospital. Following mission opportunities in the Philippines and Zambia, he has come full circle, returning to Liberia to continue the work started by his parents in 1961. He is motivated to make the lives of others just a little bit better. Click here to hear Dr. Mueller in his own words. While on a trip to a developing country in 2010, Jamie recognized the transformative power of missions. This experience changed her heart and held even bigger changes for her life. Today, she serves with The Global Orphan Project, leading vision trips to Haiti and serving on-staff as financial overseer of the GO Exchange, a global enterprise committed to orphan care and orphan prevention. At home, Jamie is married to an amazing man, is the proud mother of three, and serves on the board of Pro Deo, a local ministry committed to supporting young adults. She continues as bookkeeper for Lakeland Community Church in Lee’s Summit, Missouri, where she previously served as Director of Children and Family Ministry. In 2012, Jamie completed certification as a birth doula to act on her desire to educate, support and resource women through pregnancy and labor. It is her dream to use these gifts and experiences to support women in Haiti and Liberia not only to be healed and restored to health, but also to experience positive, healthy birthing experiences. A former elementary teacher, Linda is deeply invested in promoting education as an important aspect of health and life for all people, especially the young. Her passion keeps her personally involved, whether teaching English as a Second Language, assisting in educational camps, or supporting events for medical research, civic organizations, food pantries, and a rescue mission women’s center. As a board member, Linda brings extensive experience in a wide variety of hands-on missions, including: working at ground zero in New York after 911, helping in Mississippi after Hurricane Katrina, working with Operation Christmas Child, working with English education and assisting missionaries in Peru, working with religious and medical teams through Tabitha Ministry in Guatemala, working in an orphanage in Kenya. She also traveled to Liberia with one of the early Dignity Advocate teams. also teaches children and serves on numerous committees. As a very young child, in 1961, Becky journeyed to Liberia with her parents who were sent as Southern Baptist Missionaries to Ricks Institute. Their next assignment was Yekepa in Nimba county. There they lived alongside Swedish mining families and Liberians. Becky and her brother started school there. Every few years, they furloughed in Missouri, this would be their home away from home throughout being assigned to Liberia. Becky’s mother, Agnes Mueller, was a nurse both at Ricks and in Yekepa. Her father, Bill Mueller, was a pastor and an administrator. They left Liberia when she was 14, so her childhood was primarily spent in Liberia. Although she had many fond memories of Liberia, she didn't seek a connection as an adult until Dignity Liberia started. She traveled to Liberia with a team in 2013 and in 2016, both experiences helped her to embrace her childhood and see how she could help with the women in this country. Her career was working as an Obstetrics Nurse. With meeting the young women in Liberia, she understood how her training could be useful in education and support. Furthermore, she has recently expanded her Maternal/Newborn experience with working in the Neonatal Intensive Care Unit. If the Lord calls her, all of this experience would be great in the Maternity Home. With her knowledge of the culture in Liberia, her medical training in the specific area we are supporting, she is committed to contribute to the cause of Dignity Liberia. Anne-Marie has been deeply invested in helping others heal for many years. She is a graduate of the Oregon Health and Sciences University School of Nursing, and since 1980, she has worked in a variety of areas, including pediatrics, cardiology, post anesthesia care, and nursing education. She brings her strong belief in the power of education to empower others to her work in Liberia as a healthcare professional and health educator. Anne-Marie believes that the most important outcome of mission work is empowering individuals to achieve independence. Her skills allow her to assist and promote education for Liberian women with fistula, as well as their children, caregivers, and communities. She was drawn to Liberia not only because it is the childhood home of her husband, Charles, but also because of her sincere appreciation of the Liberian people and their thirst for education. Kerri is a Family Nurse Practitioner and owns a Medicare Certified Rural Health Clinic in a medically under-served, financially disadvantaged area of Oklahoma providing services to their patient population that include all aspects of family practice. Due to to the lack of services in the area, Kerri's Health Clinic also provides mental health services as covered through the Rural Health Clinic rules. Having lived in Liberia as a child, Kerri has a great fondness for the country and its people and desires to do all she can to give back to Liberia for the many blessings it provided her as a child. In addition to her love for Liberia, Kerri's life work is dedicated to the health and well-being of the under-served in a way that uses her skills. Kathy Beth Stavinoha is a Prospect Researcher at St. Edward’s University where she has worked for almost 19 years. She helps find individual and foundation donors for the university’s various funding needs. She also writes short biographies to help development officers engage prospects and assists development officers in the management of their prospect pools. She seeks funding for Dignity:Liberia by researching foundations and writing grant proposals. When serving with a team in Liberia, Kathy Beth pitches in where needed. She has held the hands of the women undergoing fistula repair surgery, interacted with those awaiting surgery, and shared her laughter and love with those in the Rehabilitation Center. In 2018, she interviewed 12 fistula survivors. Hearing these women tell their stories in their own words deeply touched her. Kathy Beth graduated from high school in Monrovia, Liberia where she lived in the late 1970s. She now lives in Austin, Texas with her husband and their cat and dog. She is in her 8th year volunteering as a “reading buddy” with elementary school children. She is an active member of Berkeley United Methodist Church whose UMW has sewn dresses for the women and girls she visits in Liberia.